Oh what wonderful breakfast! I felt like a kid eating this and it was so delicious. There seems to an abundance of luscious strawberries all around. Frankly, I am enjoying this cool weather as much as I enjoyed making these recipes last weekend. This easy one tastes of light custard, crisp chocolate base and tarty berries. 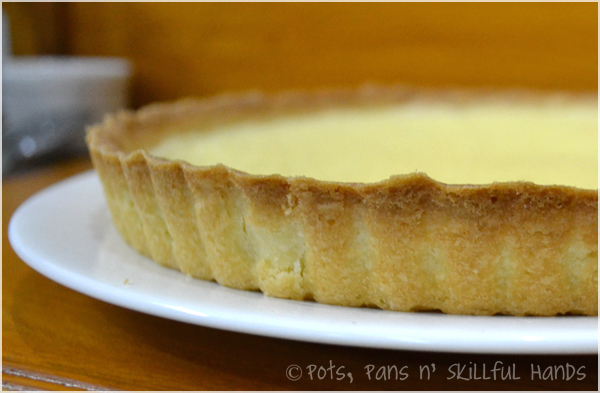 The first time I had home made lemon tart was when my friend, Scherry, brought some to class. 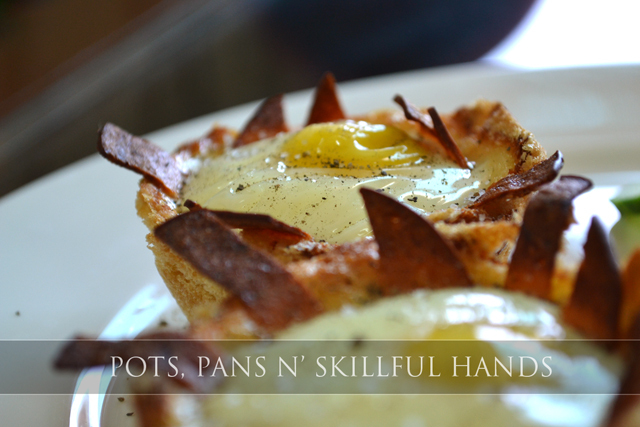 I was fascinated for two reasons: first, the tart was baked to perfection, not a crack on it and second, it started my love for this delicate desert for I never really knew lemon and eggs could taste so well together. Since then I have tried making this desert far too many times and failed miserably. Sometimes the lemon curd would leak from the bottom or it would crack in the middle and go hard or I’d end up adding too much lemon. 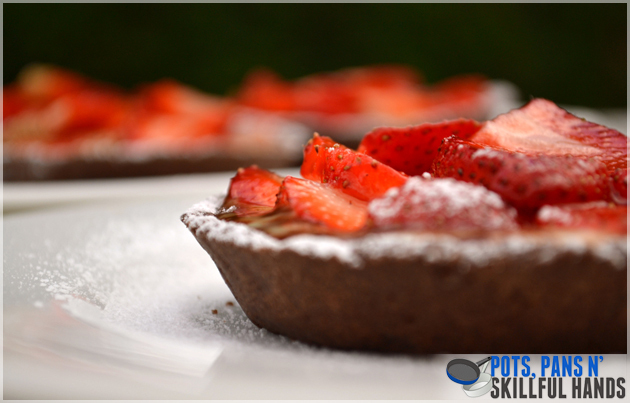 Then, one day, skimming through the recipes at joyofbaking.com, I saw the picture of a beautifully baked lemon tart and I thought of that day in class. I was tempted: I printed a copy and got to work. PERFECTION! The cream cheese works like magic in the recipe. I felt really proud when I was done with this.